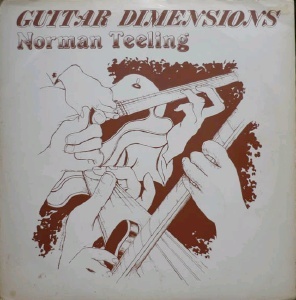 Label launched circa 1980 by Claddagh Records, the well-known Irish folk label. 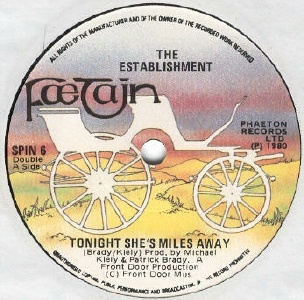 The singles were issued in pink die-cut sleeves (though SPIN 7 was also issued in a stamped white sleeve) while the label (on which the Irish spelling "Faetain" is used) was customised with a band logo. The Spies, Banditz and Major Thinkers are all listed in the main band pages. The Spies single is a gem and is especially recommended. The cancelled second single is a great loss. Cal Batchelor is a Canadian musician who lived in the UK during the 70s and 80s and was a founding member of Quiver. He recorded with Kevin Ayers, Cochise and Matthews Southern Comfort to name but a few. In the late 70s he recorded a solo album which came to the attention of Phaeton Records. Phaeton announced a single but it never came out and the deal fell through. Norman Teeling is now best known as a fine arts painter. He was active in the music scene in Dublin in the 1960s playing with The Difference among others; he graduated from NCAD in 1975 and became a full-time painter in the 1980s; he is credited with composing both sides of the Jim Power & Taurus single from 1978 and released his first solo single on Phaeton in 1981, the live B-side of which features Eric Bell (ex Thin Lizzy) and is now hard to find, as are his two solo LPs for the label. 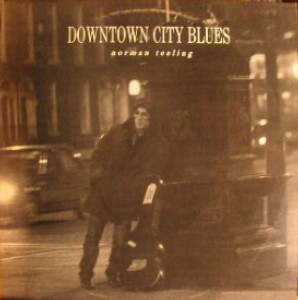 The first is a mix of styles, the second is blues rock. The Establishment were the ex Cromwell duo of Micheal Kiely & Patrick Brady who had an earlier LP on Irish EMI ("The Unfree Child", 1978). Cromwell's "At The Gallop" LP is a major rarity but is neither the bludgeoning heavy rock nor the Stones-meet-Lizzy mix it's usually claimed to be by dealers. By 1981/82 the roster was new wave free! 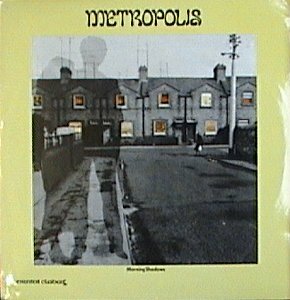 Metropolis were a jazz rock outfit featuring ex Peggy's Leg drummer Don Harris who had designed the Phaeton label logo. Their single came out on Phaeton but their album came out on the parent Claddagh label (though it bore the Phaeton logo). 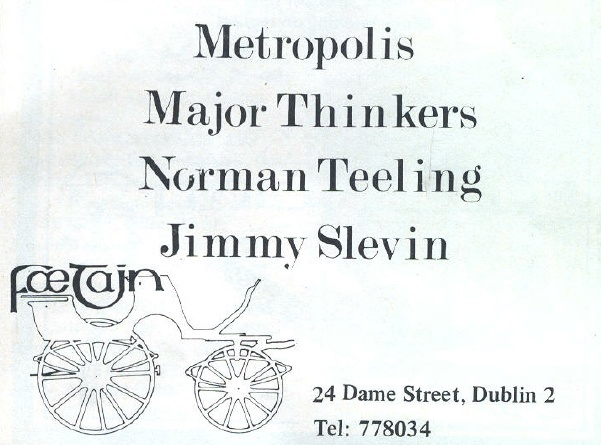 Ex Peggy's Leg guitarist Jimmy Slevin was also listed as a Phaeton artist at this time but his solo LP of the era "Freeflight" also came out on Claddagh.